Book 1 of the September Issue. Photography by: Oscar Picazo, Claudia Goetzelmann, Fidel Gonzalez, Lydia Vycitalova, and Randy Lefebvre. 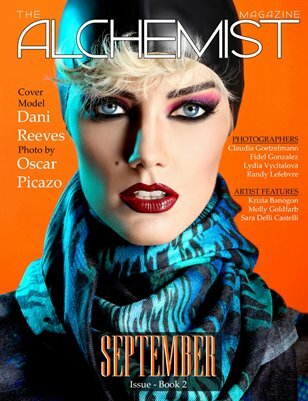 Cover model Dani Reeves. Artwork by: Krizia Banogon, Molly Goldfarb, and Sara Delli Castelli.